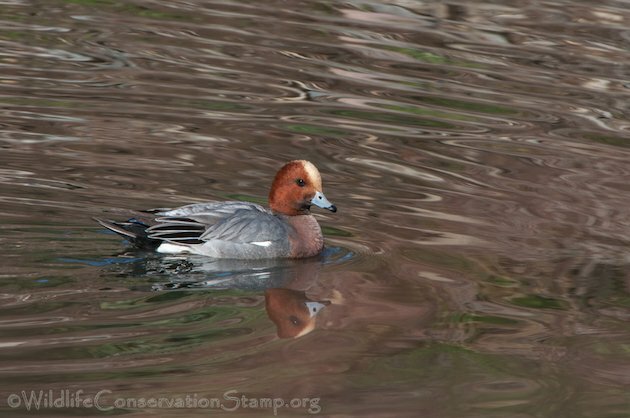 I have tried for what seems to be a long time to get a decent photo of a Eurasian Wigeon (Anas penelope) drake. 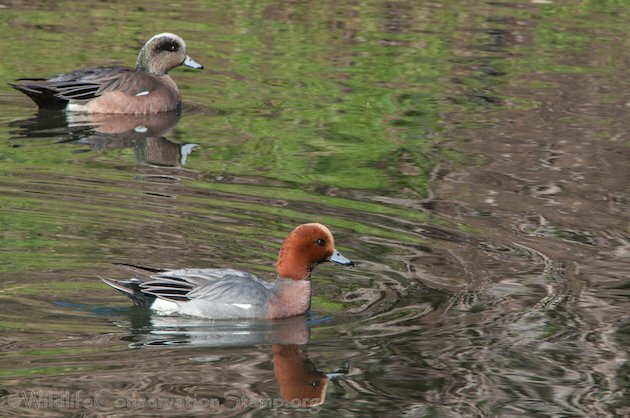 Not that the female Eurasian Wigeon is not exciting to view but she looks a lot like the female American Wigeon. 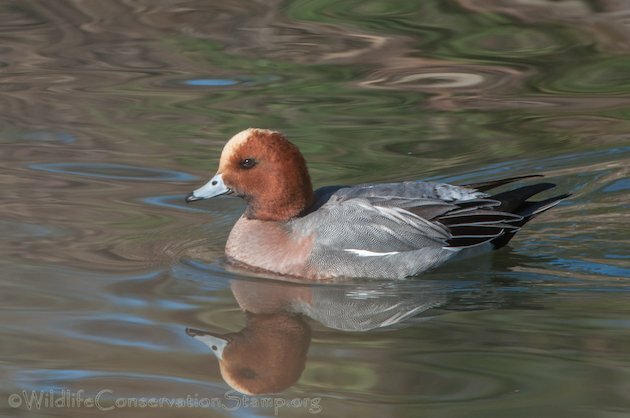 This is a shot of the American Wigeon (Anas americana) drake. Click photos for full sized images. 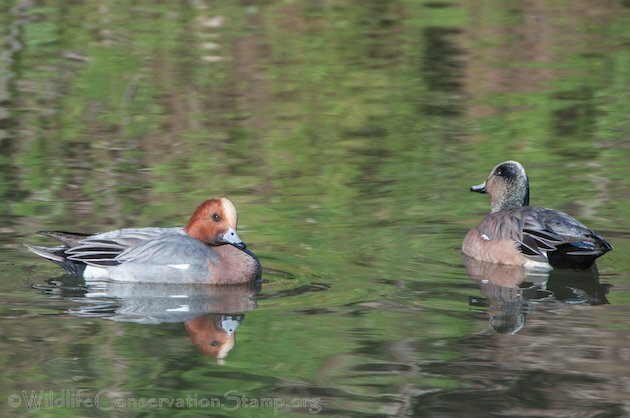 And the American Wigeon pair. 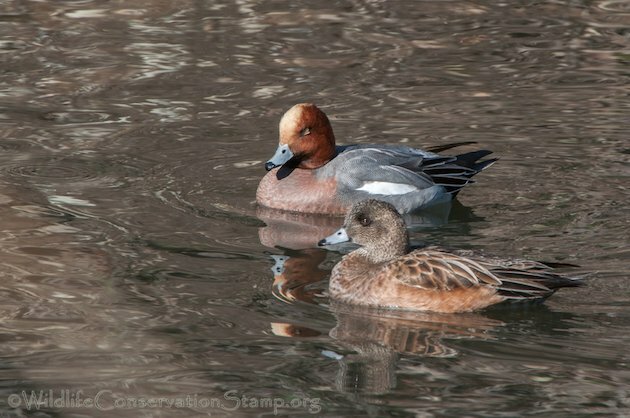 Here is the Eurasian Wigeon pair for comparison (note the tan eyelid on the drake). 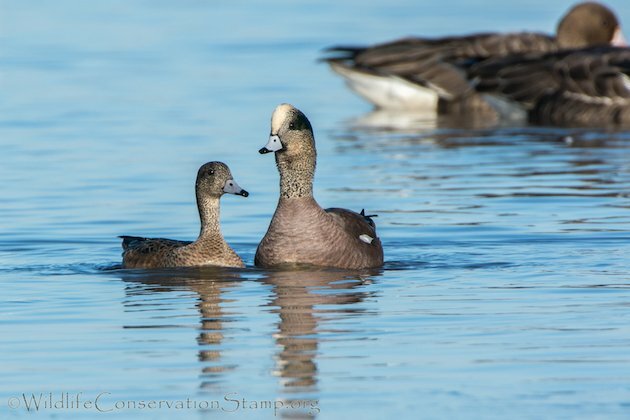 The guide books say that the female Eurasian may have a “warmer head,” but I would be hard pressed to be able to tell them apart if they weren’t hanging around with partners. 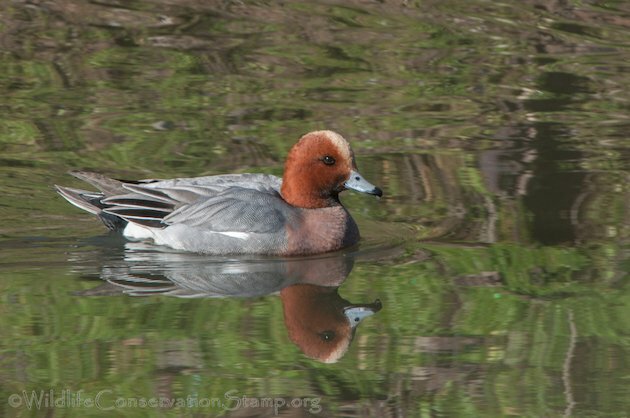 One thing the books are correct on is that the Eurasian Wigeon is much rarer than the American Wigeon. 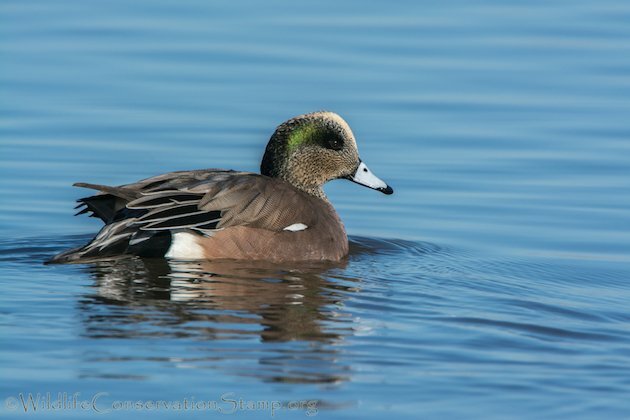 I’ve usually had to scope through hundreds of Wigeon to find a single Eurasian in a group. This day however, I was lucky to find the Eurasians among a group of Americans foraging in a local slough with close access. 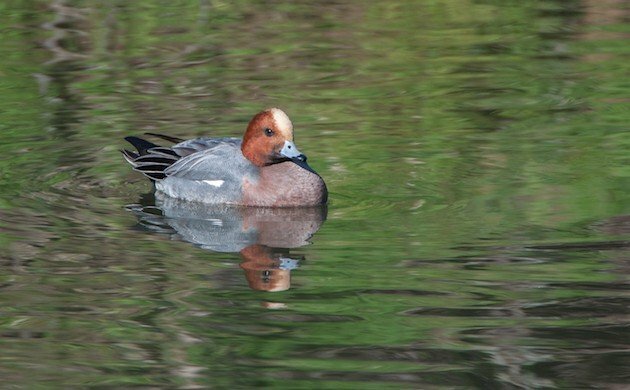 These are my best shots of the only Eurasian Wigeon drake in the group. I hope you like ‘um. 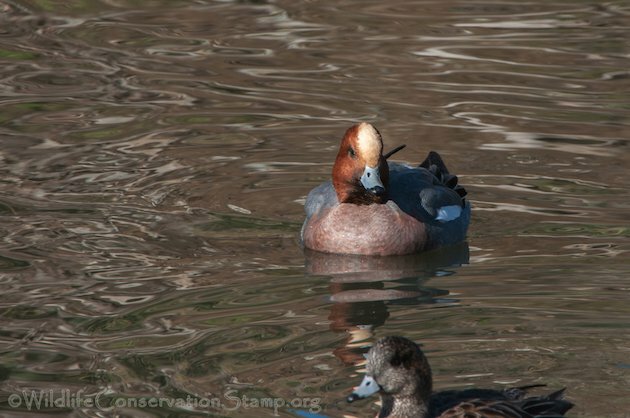 Nice images of that nice looking wigeon. 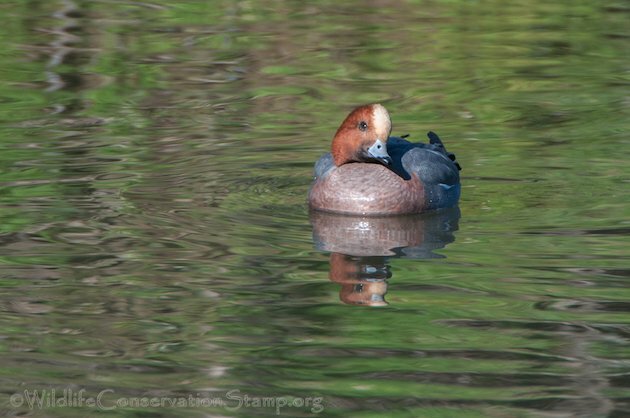 With so many consistent sightings of Eurasian Wigeon, one has to wonder if there is a small breeding population somewhere up north. 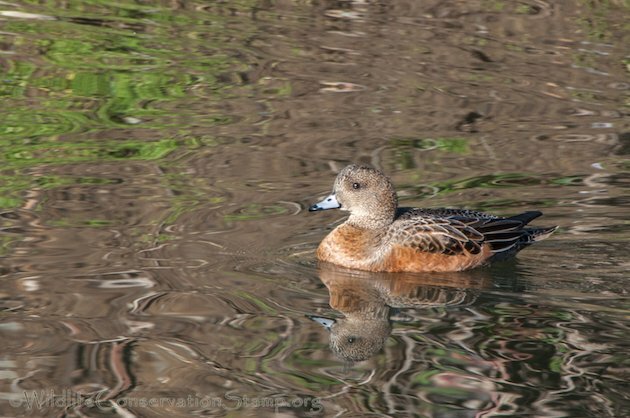 Where Are You Birding This Final Weekend of January 2016?